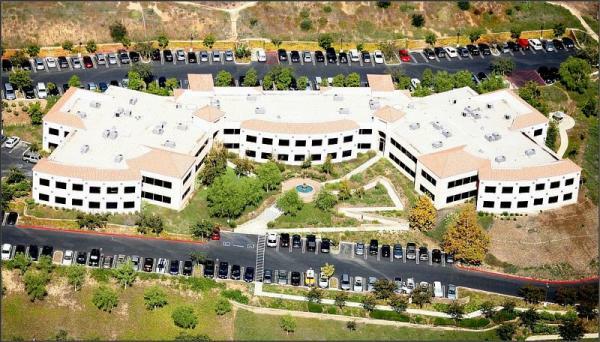 The two-story, 62,356-square foot Class "A" office building was built in 1998 and sits on 6.25 acres of land on a plateau that offers exceptional views of the Conejo Valley and offers convenient access to the 101 and 23 Freeways. Tenants enjoy abundant parking at no additional cost. Younan Corporate Center is within walking distance to numerous retail and dining amenities. The nearby Oaks Mall features more than 50 stores including Nordstrom, Macy's, and the Apple Store, along with upscale and casual dining restaurants and stadium-style theater seating from Muvico 14. Nearby corporate neighbors include Amgen, Wellpoint, J.D. Power & Associates and Dole Food Company.